September 27, 2014 — “So I just get in, right?” I was asking Tim Dunne, the owner of Fright Kingdom at the end of a behind-the-scenes tour of his excellent haunted attraction. I had to ask the question. 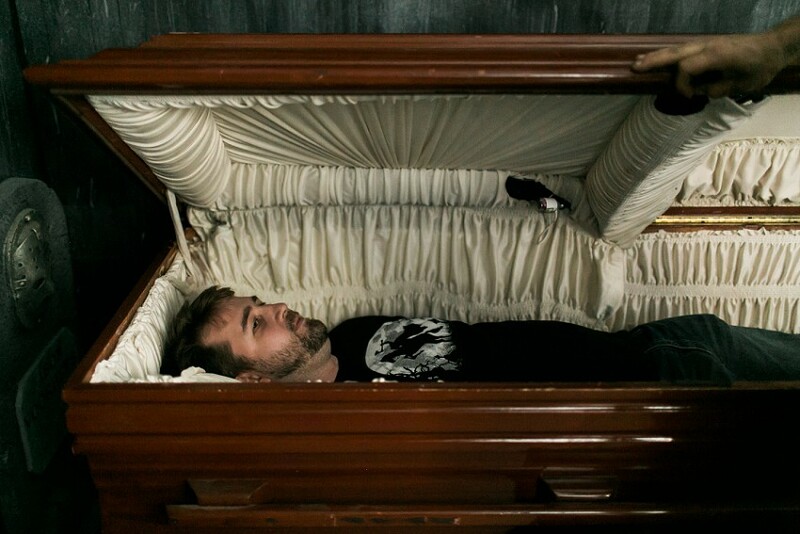 I couldn’t believe I was about to lie down in a real casket. “Yeah, you just get in,” he answered like I was a time traveler from 1497 asking about a Toyota Prius. “I can put my foot right on the bottom?” I was worried about my boots damaging the silk lining. I lay down. It was a real casket. From a real funeral home. The casket was made of dark, polished wood, and it silk lining was pale to, I assume, warm the flesh tones of the deceased it was originally intended for. I was also pale. Instinctively, I crossed my arms. “It’s a better experience if you put your arms to the side,” he informed me. I didn’t know what that meant, but I was the casket newbie and obeyed. 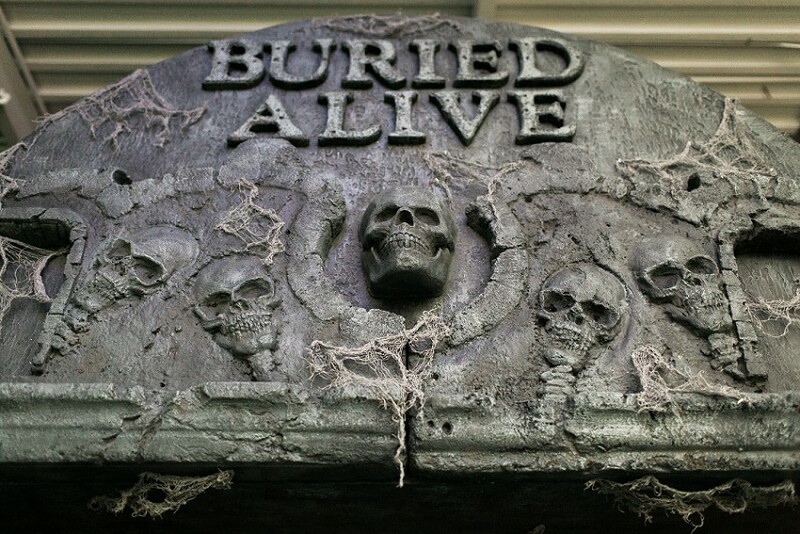 I was about to embark on Fright Kingdom’s “Buried Alive,” a burial simulator found in the haunt’s staging area where you wait and party until your group number is called to enter the mazes themselves. The ride is basically a coffin retrofitted with pistons and various sensory stimuli that’s meant to predict your future and show you what it’ll be like when you’re loaded on a hearse, taken to your grave, and then planted like that’s the way human beings reproduce. Unless you're being cremated. You need a whole different kind of simulator for that. You can see it on my face, right? Trying to remember the definitions of "good idea" and "bad idea." 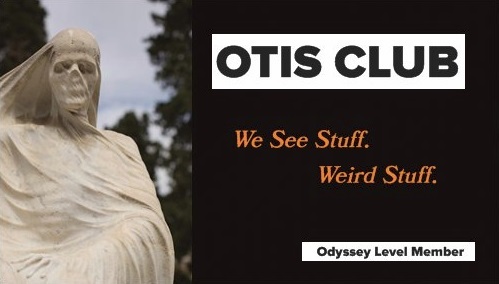 It didn’t feel weird…at first. Just like laying down in a snug spot. Then I saw Dunne looking down at me, and I suddenly got that “wake” feeling. The one where I’m trapped in my body, paralyzed and unable to tell the mourners above me, “I’m alive. Please don’t put me six feet under. Please.” He stretched his arm above me to rest his hand on the edge of the open coffin lid. My wife ran forward, but far from the grieving widow, snapped a couple quick photos. She’s always wanted to see me dead. Dunne shut the lid of the casket, darkness fell, and panic started creeping. Claustrophobia is a problem for me in general, but this kind of claustrophobia might be the worst, this casket claustrophobia. On top of that was the mental strain of not knowing what was going to happen next or, worse, how long it was going to happen for. On top of that, and possibly more terrible than the previous two factors, was the heat. Like I was being fed into a crematorium oven. Stifling. Basically I had three reasons to sweat. I was pretty sure I could throw my arms up against the lid and burst from the coffin, like some neurotic Dracula, but I did have a smidgen of irrational doubt. “Maybe,” my mind—which should have been used to being in a cramped, dark place—warned me, “Maybe it’s fastened for safety reasons. It does move around at some point.” Does OSHA cover casket rides? “You really might be trapped until this is over. Try not to scream,” that stupid thing in my head continued. Mostly, I fought the impulse to even test the lid because I knew my wife, Dunne, and his two helpers were out there watching. 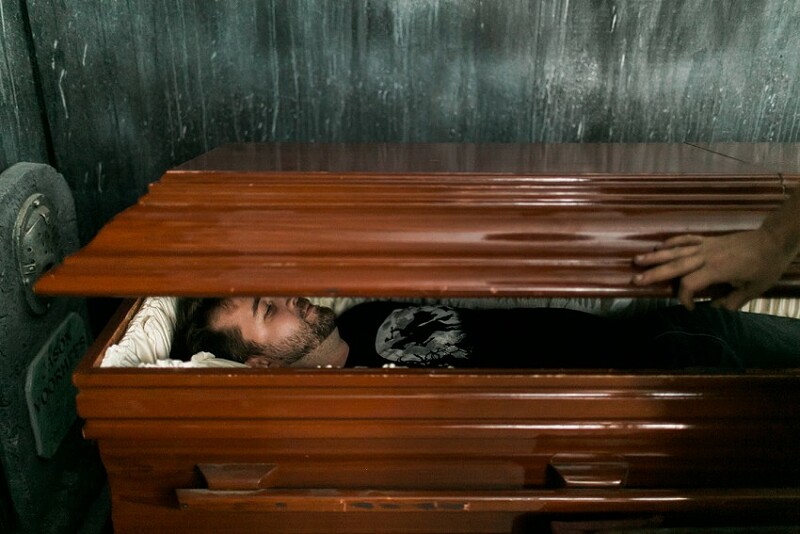 What kind of goddamn fan of the macabre can I be if I can’t lie in a casket for a few minutes. I couldn’t see anything in the dark, not even a sliver of light between the lid and the body of the casket. Still, I closed my eyes. Eyelid darkness was much more preferable to death darkness. Then I heard voices. And the casket started rocking. From what they were saying (mostly complaining about my weight), I knew these were my grave diggers. My memory, faulty with recalled terror, remembers them as having English accents. I’m not sure if that was true, but all gravediggers should have English accents. They knocked me around a bit loading me into the hearse. I assume that’s why Dunne had me put my arms to the side. So that I wouldn’t rattle around. Everything was still for a few seconds, and then I heard the roar of an engine and the vibrations of car travel. Briefly, I conflated my panic of being trapped in a coffin with one of being trapped in an automobile trunk. My sense of time was all messed up. I don’t know how long the hearse drove. I was panicked enough to almost wish they would hurry up and get to the graveyard and bury me to get this ride over with. Unfortunately, that was next. I was knocked around again as they carried me out of the hearse and lowered me into the ground. Then it got real bad. I heard the soft scratch of a spadeful of dirt falling on the lid. And then I smelled it. It might have been enough to break me had I not been told earlier that they piped dirt smell into the ride. 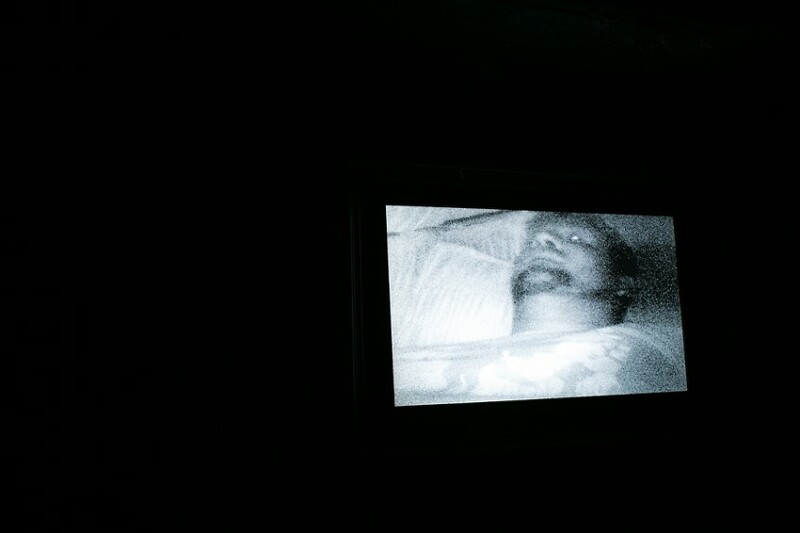 So I wasn’t hallucinating that I was in a burial simulator in a haunt attraction when I was actually being buried alive in my grave, like an even more twisted version of "An Occurrence at Owl Creek Bridge." God. I’m so glad that thought didn’t occur to me in the moment. What I did next, I want to say was just me being savvy and seizing the social media moment. 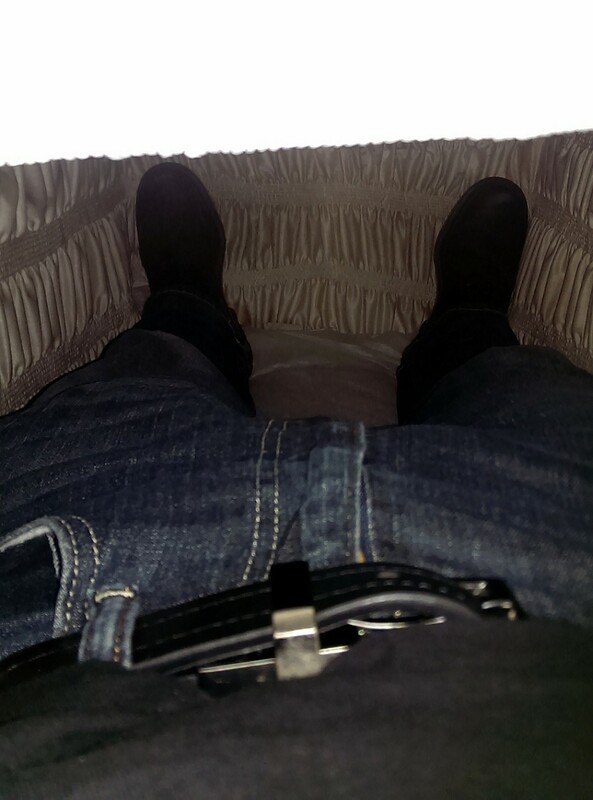 I pulled out my phone and took a selfie of my feet and legs (and, yes, my crotch...say, hello) in the casket. The truth is, I might, might, might have been trying to distract myself from the horror I was feeling. Outside the coffin I heard laughing. Not from the gravediggers, but from the people watching me. I figured they saw the light of the phone through a crevice in the casket. A few more shovels of dirt and the sounds of bugs and burrowing worms later, the casket opened. I was reborn. I have rarely felt such relief. Lazarus must’ve been the most pumped guy in the history of pumped. And I don’t know why zombies are so cranky. The air was like cotton candy, fresh and sweet. The corrugated metal warehouse roof above me was like an Alpine sky. The smell of haunt construction was a botanical garden. I got out to learn that they had been watching me on a grainy night-vision camera that I now see installed in the casket in my pictures, but didn’t catch at the time. All my personal terror laid bare. But I did learn some lessons for my future burial in my few minutes in the casket. Bury me with an air conditioner. Hire gravediggers with English accents. And for God’s sake, make sure that I’m dead. Don't forget. I'm giving way two sets of VIP passes to Fright Kingdom especially for OTIS readers. Just email me with the subject “Fright Kingdom” at ockerjw@gmail.com by the end of the day September 30. On October 1 (Fright Kingdom opens October 3), I’ll pick two of those emails at random. Obviously you need to be relatively local or visiting in October. I’ll express mail them to you or, if things work out, meet your personally for the handoff.